There are many reasons why people are interested in alternative or renewable sources of energy at the moment. The first is the general, but not universal, consensus that increased human activity is leading to larger volumes of carbon dioxide in the atmosphere, and that therefore there is man-made global warming. There are concerns that the climate change may be disadvantageous. Even those people who don’t accept that there is human cause for climate change, there is an awareness of the urgent need to consider and develop renewable sources of energy. Fossil fuels are the main source of power for humanity today, and they are a limited resource. It is important to seek to develop sustainable long term alternatives, before the oil and the coal run out or become too expensive to be economically easily available. Thirdly, there is the increasing issue of energy security. A lot of energy sources are located in countries which are politically or socially volatile, and this leads to many western countries feeling that their energy security is at risk. Which sources of renewable energy are suitable for any one area or country depends largely upon the geography. It’s not much use Switzerland getting excited about tidal power, nor is someone in Iceland going to get much central heating in the winter from solar panels on his roof. This article looks at 5 important sources of renewable energy, how they work, how they are used, and both commercial and domestic ways of harnessing natural renewable energy. Wind Energy is particularly important in Europe, with over half of commercially generated electricity in the world being generated here. 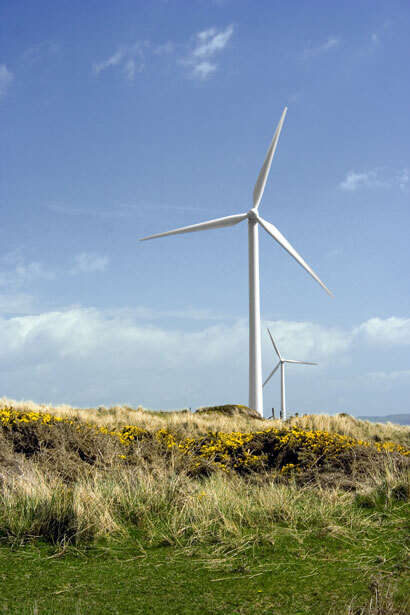 The first commercial windfarm was built in Cornwall in the UK in 1991. Wind turbines generate electricity by harnessing the power of the wind. Wind turbines are developed from traditional windmills, but are different in appearance. 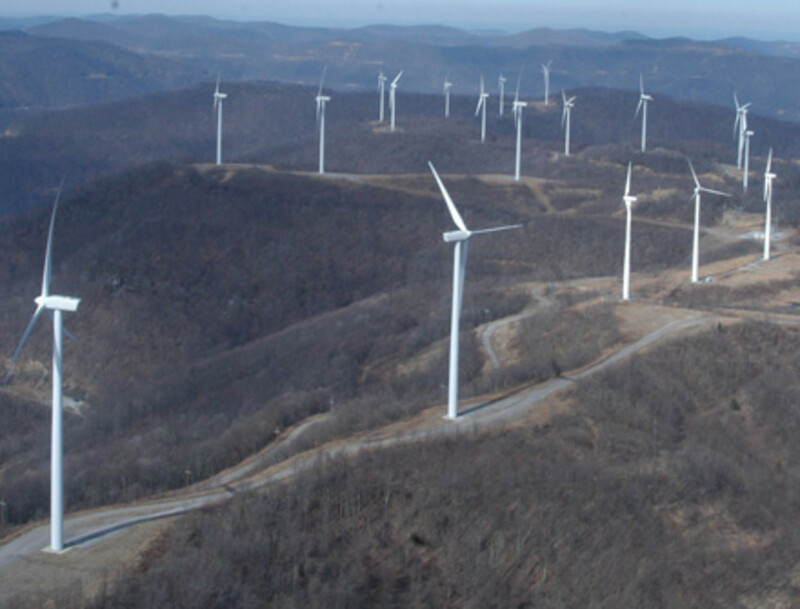 Wind turbines have either 2 or 3 blades, which rotate around the top of a metal tower. Wind passes over the blades, which are curved in order to catch the wind. The blades are therefore moved, and as they rotate, they turn a shaft which goes into a gearbox inside the turbine. The gearbox increases the rotation speed, and feeds the power to the generator which uses magnetic fields to convert rotational energy into electricity. The power and energy produced by a turbine can either go into a national or local electricity grid, or in the case of micro turbines, be connected to a home’s power supply. A fantastic site which contains a large database of world-wide wind energy projects, and also pictures, facts, and links. A detailed American report entitled, "Wind Power in the United States: Technology, Economic, and Policy Issues"
In terms of commercial windfarms, they can be located on land, or in the sea. Offshore windfarm have advantages, in that the wind is not interrupted by buildings or hills, and there is also not alternative pressure on the land, which other people might wish to build on or farm. The wind tends to be more consistent offshore. Building and maintaining offshore wind turbines can be more expensive. Wind power is suitable for micro generation, which means the production of small amounts of electricity from wind power for local use. They are particularly useful for houses or groups of houses or communities which are not connected to the national grid, because they are remote. Such communities often use generators powered by oil or diesel, and wind turbines can reduce the fuel consumption of these generators. Local domestic wind turbines can either be plugged straight into a house’s electricity system, or can generate power for batteries and battery appliances can then be used when needed. Anoverview of the the UK renewable energy industry. In the UK, wind power is now the largest source of renewable energy, contributing just under 3% of the United Kingdom’s electricity. This is a figure which is growing fast. Wind energy generates a considerably higher percentage of electricity in other European countries. 19% of Denmark’s electricity is generated by wind turbines, 11% in Portugal and in Spain, and 7% in Germany and in Ireland. The United States of America has the greatest installed wind power capacity, but it is a low percentage of total energy consumption. Only 0.4% of America’s electricity is generated by wind turbines. There is a controversy in some countries about the installation of windfarms. Some local communities don’t like them and planning laws are used by some people to try to oppose the installation of wind turbines either on a local domestic level, or in windfarms. Half of all planning applications in England and Wales for wind turbines are refused. Other people like them, personally I think wind turbines have a majestic beauty, and the sight of them in motion is extremely attractive. A fascinating guide to building and installing your own domestic solar panel. Total solar energy absorbed by the Earth is more energy in an hour than the entire world uses in a year. It is as much as energy per year as all fossil fuels available in the earth put together. In many places in the world, it is now as cheap or cheaper than electricity generated via a fossil fuel. This is obviously a figure which varies as the price of fossil fuel energy is so volatile. For new types of solar panel, the energy generated by a solar cell over time is between 10 and 32 times greater than the energy needed to produce and maintain the solar cells. Where an individual installation falls in this range depends on the location where it is installed. Solar energy can be used in order to cook or preserve food.This is not a new technology, but dates back to the mid 18th century. Modern solar cookers use panels, mirrors and dishes to focus light onto the oven. These can be built and used on a large scale. The biggest solar cooker in the world in Rajasthan in India can cook up to 35,000 meals a day. Solar panels can be used to convert the sun’s energy into electricity. These can be installed in large-scale electricity generation plants which contribute electricity to the national grid. The largest sun powered electricity generator in the world is in Spain, and was built in October 2008. 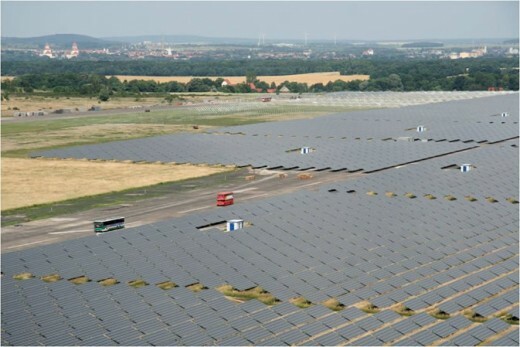 There are also large solar plants in Germany, Portugal, Italy and Greece. About 90% of solar energy produced worldwide is connected to national grid systems. Solar panels are also very suitable for micro generation, and can be and are installed on many buildings in countries where sunlight is suitable and reliable enough for it to be useful. 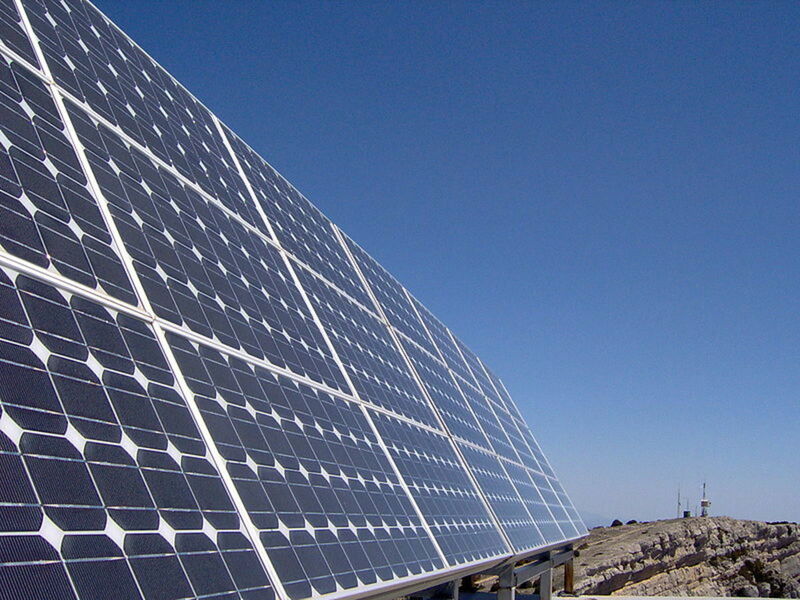 As technology develops, solar power is increasingly cost effective. Solar panels can easily be installed on new or existing domestic and commercial buildings, to contribute the cost of running a house, air conditioning, heating water, or other electricity needs. Tidal and wave energy are similar in that both come from the sea, but one harnesses the regular and predictable tidal movement caused by the moon’s gravitational pull, and the other the slightly less predictable wave power generated by wind and storms. Mills to grind corn or pound wool have a very long history, by the Middle Ages, they were frequently used in England and other parts of Western Europe. Neither wave nor tidal power are significant contributors at present to renewable energy sources, but research and investigation into both continues. A detailed and fascinating article about the proposed Severn Barrage. There are 2 main ways in which tidal power can be used and converted into electricity. A Tidal Screen installation makes use of the Kinetic energy of the water pushed by the moon’s gravity to power electricity generating turbines. This is a similar way of generating electricity to that used by wind turbines. The second system used for tidal energy is a Barrage. A Barrage is like a dam across the whole of a tidal river, or estuary, and these are not particularly popular at the moment. They produce a great deal of energy, but they are very expensive to build and maintain, and there are significant issues in relation to environmental impact, and impact on shipping. Tidal estuaries or rivers big enough to make it worth installing a Barrage tend to be used by commercial ships and also for leisure boating. Tidal Barrages are pretty incompatible with either. Because of the difficulties of building a permanent Barrage on a tidal structure, where the banks of the river or estuary are subject to water pressure and erosion, they are extremely expensive to build, and also have very high maintenance costs. There is also a serious risk of Barrages affecting wildlife, in particular fish. They are particularly unsuitable for rivers used by migrating fish such as salmon. The construction of Barrages also affects the flow of the water in and out of rivers, and the salinity of the river water is affected. This can also have an effect on wildlife. The tidal streams systems are becoming more popular because they suffer from fewer of the environmental drawbacks of Barrage systems, and also use well researched technology similar to that used for generating wind power. There is a large commercial tidal electricity generating Barrage on the Rance River in France. It was installed in the mid-1960s, and has produced electricity ever since. Despite its search for alternative energy sources, however, subsequent French governments have not considered it worthwhile installing other such Barrages. The 1849 grand plan for the Severn Barrage, complete with illustrations of happy ships. A tidal Barrage has long been considered for the River Severn in England and Wales. The Severn Estuary is a significant tidal estuary, and would in many respects be suitable. An example of the estuary’s tidal power is the Severn Bore, a tidal bore during which at high tides the rising tide water is funnelled up the estuary into a wave. These occur several times a year but particularly in spring. A number of people try to surf the Severn Bore, and while it increases potential tide energy, it also presents drawbacks. The first proposal for Barrages on the River Severn started in the mid 19th century. 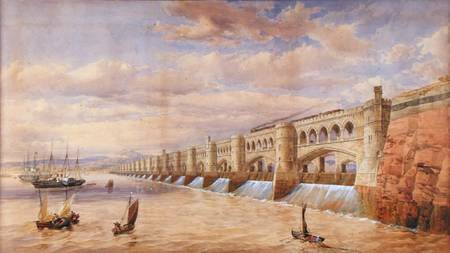 A proposal by Thomas Fulljames in 1849 was to create a dam which would enable a railway bridge, flood protection, and a large and safe port for ships to moor in. The tidal range in the Severn Estuary is vast, up to 52 feet at Spring tides. This means that the difference between high tide and low tide at its most extreme is 52 feet. There have been lots of fairly serious studies into the prospect of energy generation from a Severn Barrage, there were 4 in the 1980s, and 3 more since then. The latest effort is a feasibility study, from the British Government, which started in February 2008 and will last a couple of years. The Severn Estuary is a special area of conservation, because of its unique ecology and wildlife habitats, and this creates extra opposition to the Barrage. 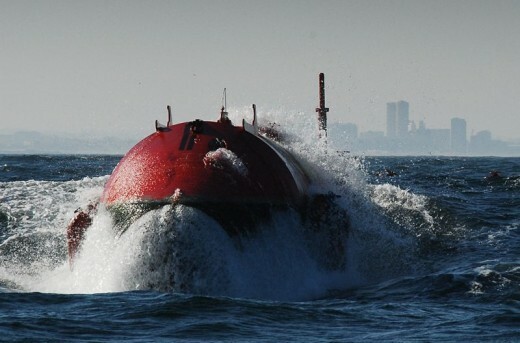 Wave power is similar to tidal power, and is usually harnessed by devices similar to buoys. These allow a wave to pass through the centre of the buoy, and use the energy to generate electricity. The commercial use of wave power presents considerable technical challenges. Waves are not constant, nor do they come in a constant direction. There is also a risk of strong waves damaging a wave farm system. There are now some commercial wave farms. The first was built in Portugal, and opened mid 2008. 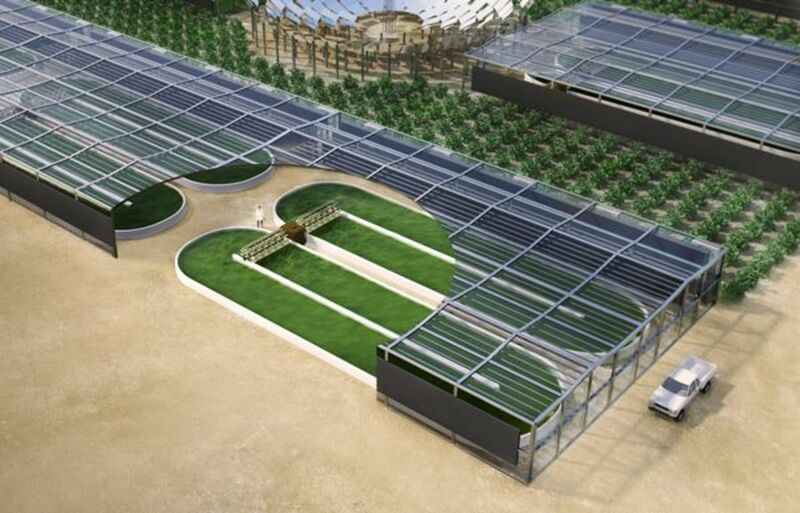 A wave farm is also due to be built in Scotland, and another one in Cornwall in England. The wave hub in Cornwall is expected to power about 8,000 households and save 320,000 tonnes of carbon dioxide over 25 years. The UK, North and South America, South and Western Africa and Australasia are those countries who are most likely to be able to use wave power efficiently to generate electricity. 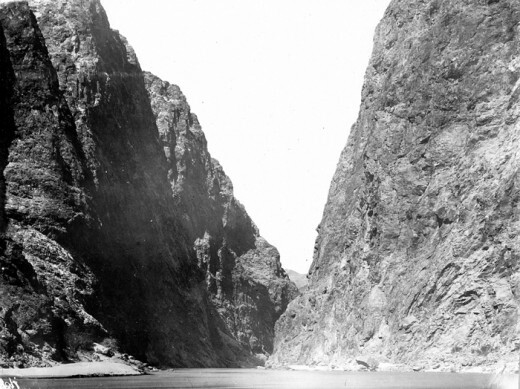 The site of the Hoover Dam before anything was built, taken in about 1900. The dam as it is today, from the air. Hydroelectricity is one of the most common forms of renewable energy in the world. It makes up about a 5th of world electricity production, but is far from uncontroversial. In order to generate hydroelectric power, in most cases a large dam is built across a river with significant potential energy. Water is then used from behind the dam to drive a turbine and generate electricity as it is released. Hydroelectric plants have a long commercial history compared with most renewable energy. They are relatively efficient, and although often expensive to build, recoup the cost and energy laid out to build them fairly swiftly after they come online. They can also be used to create large lakes and ponds, which change and diversify ecosystems. They also allow agriculture to draw water for irrigation, and may help control floods. Many environmentalists are, however, unhappy about hydroelectric dams. They significantly alter the flow of the river, and affect ecosystems and the salinity of water. The areas flooded when building dams for hydroelectricity can also upset a lot of people who are displaced. The official website of the Hoover Dam, with a lot of information, pictures, and links. At least four million people are to be moved from China's Three Gorges Dam area amid fears of a "catastrophe". 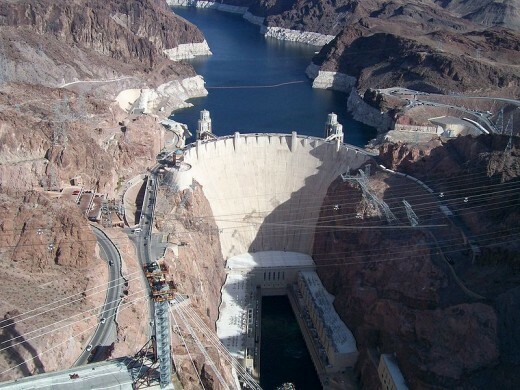 The Hoover Dam is a good example of an early hydroelectric power station. It was finished in 1936. When it was built, nothing nearly as big had ever been constructed from concrete, and that the engineers had to make a great of the technology up as they went along. It was also dangerous, and about 120 people are thought to have died during the construction. The Dam has had a very serious impact on the Colorado River Delta, where salinity has vastly increased as less water and sediment comes down the river. Local and native species of fish have also been very badly affected, and a number have been listed as endangered. Three Gorges Dam in China, shown during construction. Copyright Christoph Filnkößl. 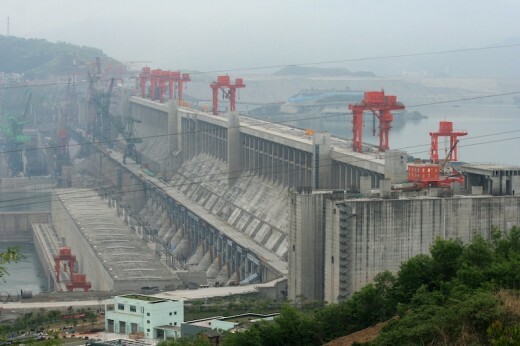 The Three Gorges Dam in China has been particularly controversial. When it’s finished, in another 3 years or so time, it will be the largest power station in the world. Some aspects are already working, but the project as a whole is not yet finished. It is estimated by the United Nations that the Three Gorges Dam will reduce coal consumption by about 34 million tonnes a year, causing the emission of 100 million tonnes of greenhouse gases less per year. The Dam will also help control flooding, which is extremely problematic on the river. Altogether, approximately 1.3 million people were forced to move, as their homes and farms would be covered by the waters held back by the Dam. There have also been significant environmental consequences. As the river will carry much less silt down the stream, there is a significant risk that the Yangtze Delta will erode. There is an also extremely serious issue in relation to earthquake activity in the area. If the Dam were to break, the consequences would be catastrophic. 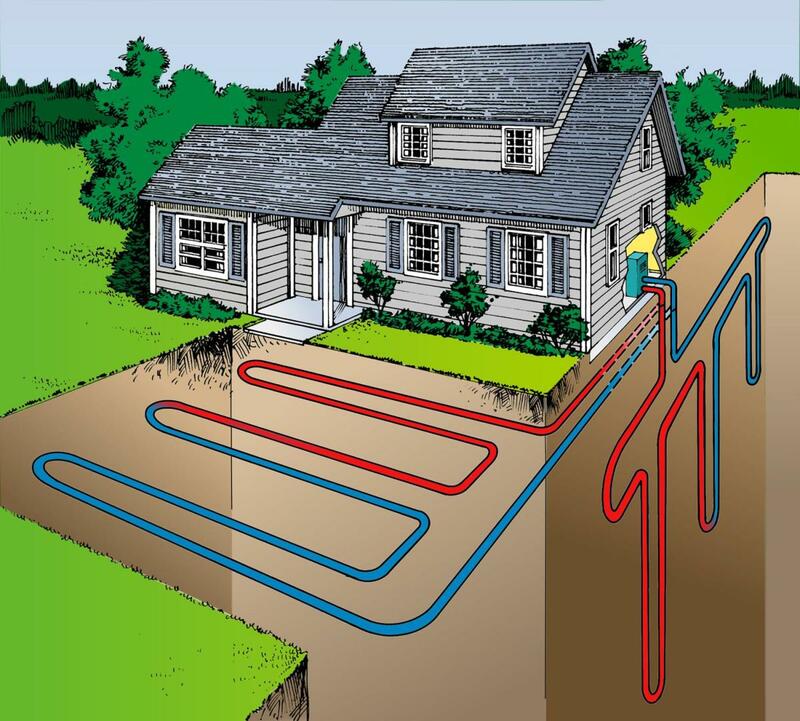 Geothermal energy comes from heat stored within the Earth. As a percentage of worldwide electricity, it generates only 0.3%. Where it is available however it produces far more than this. 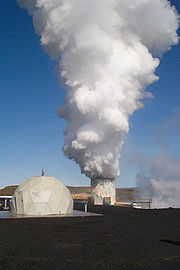 In 2008, there were 8 countries which used geothermal sources to produce more than 15% of their electricity, and top of the league is Iceland. There are several different ways of harnessing heat stored within the Earth. The most common is known as Dry Steam Plant, which uses steam from deep within the Earth to turn turbines and generate electricity. The second most common is a Flash Steam Plant, which uses heat within the Earth to turn water into high pressure hot water and drive turbines. The third most common, and the newest development, can use water or other fluids with lower temperatures. In 2008, over 30% of Iceland’s electricity came from geothermal energy. Iceland, being on a division between tectonic plates, has a great deal of geological activity, and is highly suitable for geothermal energy. According to the Icelandic Energy Authority, 90% of all housing in Iceland is powered by geothermal electricity, and hot water supplied similarly. Geothermal energy in Iceland is so cheap and easily available, that in several cities the roads and pavements are heated in the winter in order to keep them free of snow and ice by geothermal energy. Good stuff! Not to be picky, but "The first commercial windfarm was built in Cornwall in the UK in 1991" - you mean first in the UK, right? That's not the first in the world. Like the info. As you say, a lot of ideas are shot down because they kill birds or mess up tidal areas (where lots of species breed). Some are shot down because of pure NIMBY (not in my back yard) or BANANA (build absolutely nothing anywhere near anyone). Almost nothing large scale is truly "environmentally friendly," leaving us with tough choices (even solar panels - stuff has to be mined and melted at high heat). People are talking about ways to put windfarms up high in stronger winds (blimps, kites) and anchoring underwater turbines in the Gulf Steam and other strong ocean currents. Biofuels work in Brazil, when world oil prices are high (sugar cane = somewhat cheap ethanol). Corn ethanol, which is what we do in the USA, is a horrible idea (no net energy gain, may cause starvation by converting food to fuel and increasing world food prices - it's very political). Look to enzymes that convert wood and other cellulose to sugar and possibly butanol, not ethanol - lots of exciting work being done on this now. Conservation, using less, is still the best. To be honest, it's a pain. A lot of my friends who think they're "green" drive gas hogs, run A/C indoors while heating their swimming pools - and so on! So hard to walk the walk. My ancestors lived by candle or lamp light at night. They used firewood for cooking and warmth. They used horses to plow and travel. They grew most of their own food, except wheat, sugar and so on (most weren't in a good wheat area). This was in the USA, not that long ago. They worked all day long (well, not quite true - but they did work and do chores way more than I do!). This hub is very interesting good job! I take an avid interest in alternative energy resources. I think wind energy could really help the U.S. and hopefully the U.S invests in responsible forms of energy soon. so i have a question on how to use it because i have this bike. Alternatives like solar power is a promising idea. I love the fact that it can help us save money from our electricity bills and it is also environment friendly. I hope many people would finally decide to use these great alternatives. Thanks for the great hub! Portugal is an example other countries should follow! As a Portuguese I fill very proud that my small country (in size) is so many times refer in your hub. Is all true, but just a quick observation about the solar power plant. Is so expensive to maintain the solar power plant working that, for the moment is almost economically unviable. But the wave power is a real finding. Thanks for the very informative hub. low budget home-built DIY solar panels feel free to check it out if anyone is interested. Nice collection of illustrative photos. I understand Denmark has a 180% tax on gas burner cars (on top of the basic 25% car sales tax) to encourage the use of their wind energy. This may explain the first? hybrid and all electric car collision happening in Denmark, pictures of the scene have circulated around the net. Hey LG - I just seen you ain't pubilshed a hub in five months - you gone away ? Hi LG - excellent hub - you don't do things by halves ! I've asked this question on another hub but I'll ask it here too and maybe I'll start a campaign. My question is - Why don't they put solar panels on wind turbines ? Wind turbines stand out in the sun all day long, surely they could stick sone solar panels on the bit that doesn't move and get two sources of energy for the price of one? Seems nuts to me to build a whopping great tower and totally underuse its possibilities. But WTF do I know ? Great hub and the information is in chain so we can see all energy sources known by men on this times. 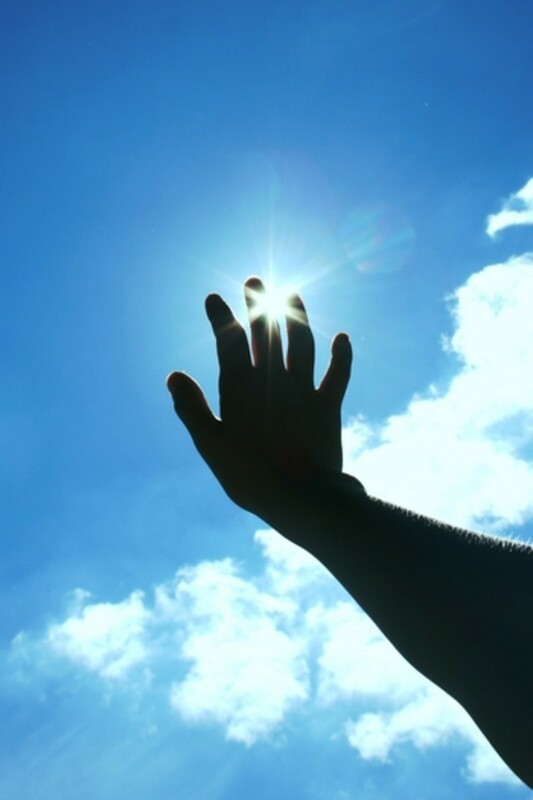 Even investingating we can reach more energy sources, 'cause energy can not be destroyed, it only transforms. Perhaps we are destroying the resources to get them before we can use their power. My personal point of view is wind generation is not an easy thing to DIY. Some places simply do not have enough wind. Especially in urban conditions, it poses significant technical challenges due to persistent low wind speeds. I feel the resources can be better tapped doing something more effective like tapping solar instead. Great hub, lots of useful information! Thanks for this useful hub on renewable energy. I have always been interested in natural sources of renewable energy. I hope to install a solar panel in next few months for my work. That sounds great, and really exciting. Let me know if you do it? I have started thinking about building my own wind turbine and making my own solar panel out of individual solar cells. I love the outdoors and I love camping so it would really be cool if I could bring them with me there. Thanks Dave - glad you found it interesting and useful. Very informative hub especially on those exotic renewable energy sources like wave power and tidal wave. Also, very interesting posts to read. Your hub shows hard work of research. You trully traced where we came from, where we are and where we need to be in terms of energy source. This is our history! This is how far we were. Thanks. We welcome renewable energy with an open hand. DOlores, I agree, both the old and new windmills are lovely! Lgali, glad you enjoyed it. Brilliant Hub and very reliable information I think you must have done lot of research on this article I think solar power is the best. When I was a kid, if you rode out into the country, there were old windmills everywhere for pumping well water. They were so lovely, but old and rickedy, have not seen one for years. The new wind turbines are so pretty too. aniketgore - couldn't agree more! Thanks Rik, glad you enjoyed it! Mulberry, I couldn't agree more. I really like them, I think they are beautiful! Hi Christop - wave power in particular is in its infancy, but tidal power has been used commerically for some time, esp. in that French plant. shamelabboush, I agree. We all have a hefty responsibility over our own energy use. very nice hub. We have planty of solar energy usable but we are lacking in it. I hope someday world will start using it. Thanks for such a great info. An Excellent hub about the energy and power. I thanks you for this hub. Well done and so thorough--thank you! Add me to the list of people with an off-grid fantasy. Right now a wind turbine large enough to generate enough power for a household costs about $30,000, but a lot can be achieved through conservation and creative thinking. Electricity is our highest utility bill. We switched to a pellet stove last summer, so we don't burn oil or gas, but we do run a whole hosue fan to circulate the heat and it costs a fortune. So I'm researching that now--see how we can do better. Excellent review, well researched and very readable - Well Done LG! Excellent article Londongirl. There are lots of wind farms here in Texas and solar is definitely another option many are considering. I agree with mulberry1, the wind turbines are quiet, I have been at the base and hardly even registered them after a few minutes. Great information. The use of wind energy has picked up in my area in the past year. Hundreds were installed in the past 6-8 months within about 50 miles of my home. I know some people oppose them but I can't imagine why anyone would prefer to live near electrical power lines than a wind turbine. They are nearly silent and I seriously doubt they actually present any health hazard. I am interested in developing alternative energy sources and so found this article interesting, detailed and thorough. i was unfamiliar with wave and tidal energy, so that was facinating to me. Thanks! Ethanol seems a different kettle of fish, to me, as it's not using what's just there (like wind or waves) but instead does involve consumption. Nice Hub. These are cool technology I that I will be watching over the next few years. We have a lot of windmills going up here ia Iowa. I am living in the middle of Ethanol alley, here in Iowa, what about Ethanol? LondonGirl, BristolBoy, I am looking forward to reading your hubs on off-grid living. Looking forward to yours, too! I'm glad you don't mind me linking to your blog. Londongirl-Thanks for the links to my blog - I did notice it and in fact sent you an email first. Hi Aya. Looks like LondonGirl beat me to it with the idea of a page based on off-grid living so I will have to make a hub on the technical issues surrounding renewable energy. However, until I and her have created these pages feel free to contact myself with any specific questions you may have on off grid living. Renewable energy is the only way forward for a sustainable energy source. Good hub. Hi Am I Dead - glad you enjoyed it. What sort of energy were you looking into? All types, or one or two in particular? Hi Aya - that's my next hub! I'm writing and researching it at the moment. Brilliant Hub and very reliable information. I had to do a report on renewable energy awhile ago for a team project. I have to say that it was not as informative as your Hub. I only wish you written this sooner, Our team would have been guaranteed an 'A'. LondonGirl, like Teresa, I, too, daydream about going completely off the grid. I've been trying to look into it, to find out how realistic it would be. How much of an investment would it require? Would I be able to generate a surplus, as well as meet my own energy needs? I have ten acres, so I could have lots of wind turbines and/or solar panels. But... so far storing excess energy captured on one day, to use for another day, does not sound feasible. Any thoughts about that? Hi CountryWoman - I agree, people want to stick their heads in the sand, I don't really understand why, though! Jama, I don't either (-: My parents are trying to install wind turbines at their country place, but they need planning permission first. LG, a wonderful explanation of the different types of renewable energy. Reading this, I can't help but wonder why we fossil fuel at all! Thanks Brian! Glad you found it useful and interesting. LondonGirl- Last year I was once having a discussion with one of my colleague about the negative effects of humans on the environment based on the movie I saw then by Al Gore and he was saying that it is "junk" science and it is made just to get people to invest more in green fuel (like corn) and other avenues for people to make money. I don't know why some people find it hard to digest that we are responsible to a certain extent and need to change our course as much as we can. Thumbs up for an excellent hub about the alternative power sources. One of my favorite subjects , a lot of people should take an interest in this subject and you have managed to put together a pretty good appraisal of a complex subject in fairly straightforward way. Nice piece of work. Keep on spreading the RE-info! Renewable energy is my speciality and this is a very good outlinine five of the best sources of renewable energy. I particularly like the way in which you have laid out this page, and described the five forms of energy in a way that is easy to understand and yet still quite technical and for this I congratulate you. This will be very useful to many people who have heard a bit about renewable energy but aren't sure exactly what 'renewable energy' means and what counts as renewable energy. Very well done. 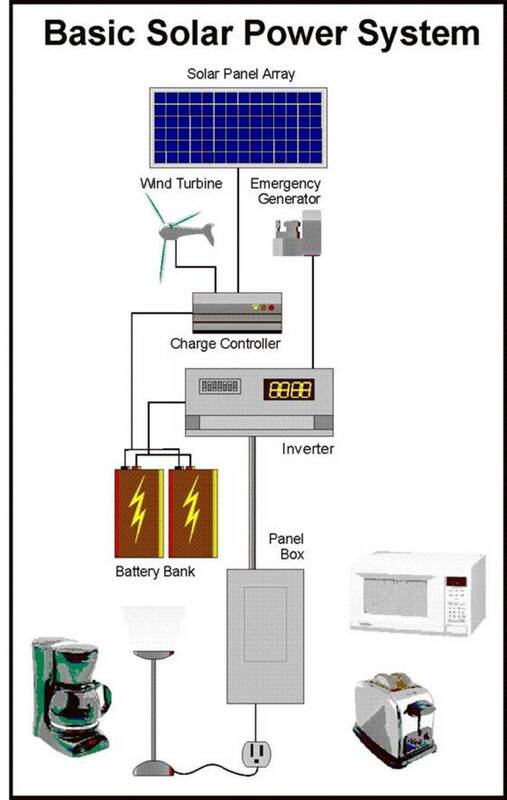 I really would like to live off-grid and supply my own energy with solar and wind components. I've been fantasizing about it for months, now. The information here makes me day dream even more. . .